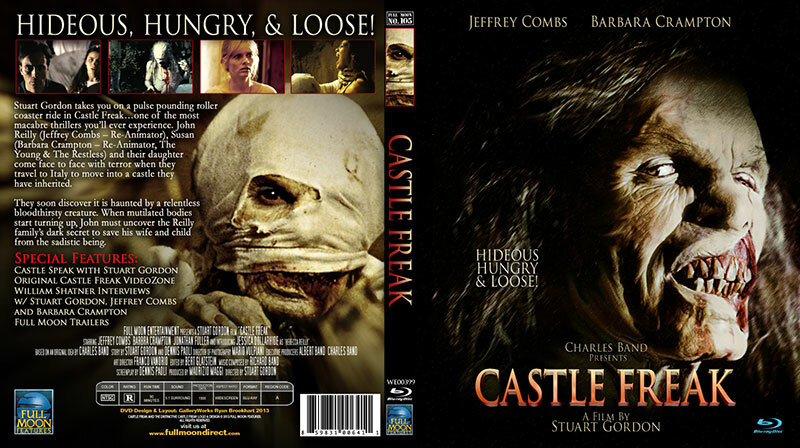 The remastered edition of Castle Freak looks better than ever! Stuart Gordon takes you on a pulse pounding roller-coaster ride in Castle Freakâ€¦ one of the most macabre thrillers youâ€ ll ever experience. John Reilly (Jeffrey Combs â€ Re-Animator), Susan (Barbara Crampton â€ Young & The Restless) and their daughter come face to face with terror when they travel to Italy to move into a castle they have inherited. They soon discover it is haunted by a relentless blood-thirsty creature. When mutilated bodies start turning up, John must uncover the Reilly familyâ€ s dark secret to save his wife and child from the sadistic being.